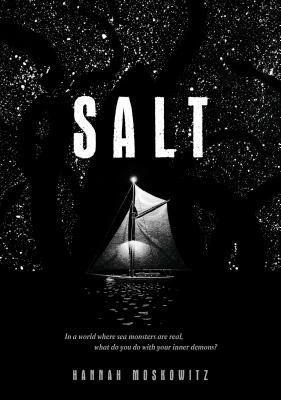 Roaming the Mediterranean on sailboats and hunting down monsters is the only life sixteen-year-old Indi and his siblings have ever known. He never loved it, but now that his parents are gone—recently vanished at sea during a hunt—it's harder and harder to fight his desire to escape. He's constantly weighing his need for freedom against his ferocious love for his siblings and the temptation of his parents' journal, which contains directions to a possible treasure. Maybe it's something valuable enough to distract seventeen-year-old Beleza from her obsession with hunting down the monster that killed their parents. Something that would save the little kids from a life at sea that's turning Oscar into a thieving pirate and wasting Zulu's brilliant six-year-old mind. Something that could give Indi a normal life. Hannah Moskowitz is the author of many books for teenagers, including A History of Glitter and Blood and Gena/Finn, both awarded the Bank Street College of Education Best Book of the Year. She lives in Maryland.